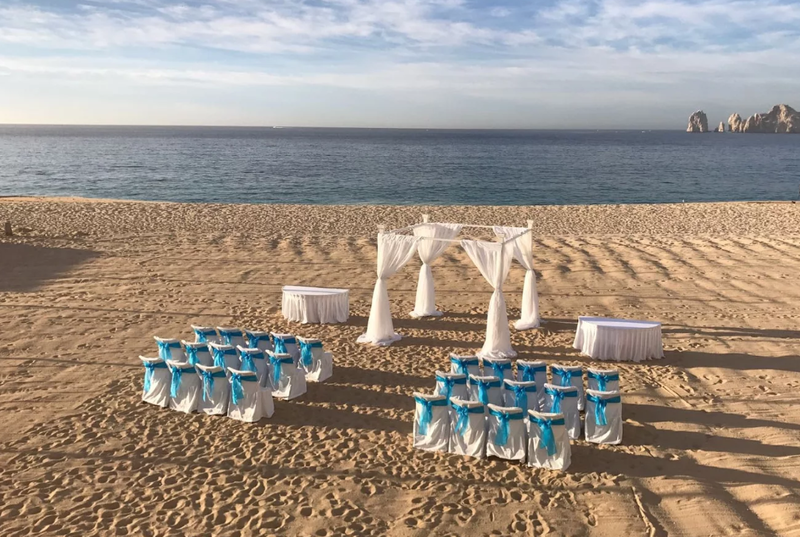 Located away from the Cabo San Lucas party atmosphere, a RIU Palace resort wedding will allow you to completely unwind and enjoy your special day with your loved ones. 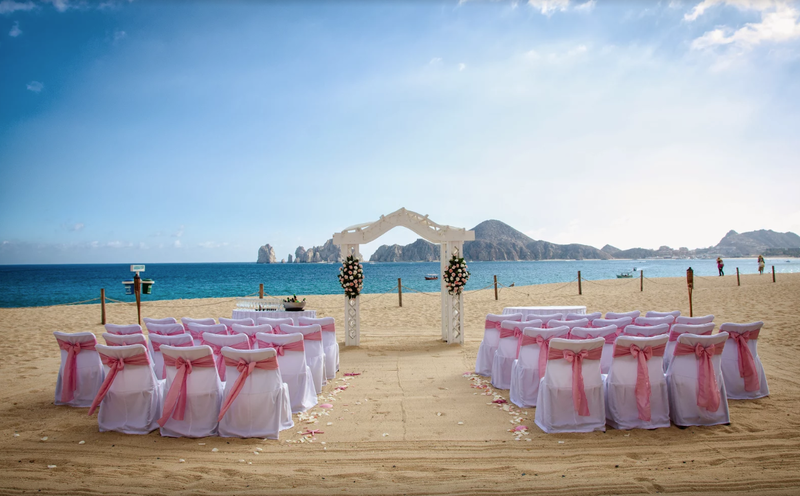 Where the golden beaches and rugged cliffs meet the vibrant mountains of the nearby Marino de Cabo Pulmo National Park, have your wedding ceremony at one of the most romantic places in all of Cabo San Lucas. With the perfect blend of entertainment and luxury, you will never want to leave the resort. Renovations: The resort was recently renovated in 2016, with an additional 44 guests rooms including their own private pools or jacuzzis. All fitness and spa facilities were upgraded to have more modern services and equipment with contemporary decor. The resort also added a new internationally themed restaurant as well as 3 new bars and lounges, one of which is open 24 hours. The property is large, but all guest rooms are just a short walk to the beach and close together. Take a water taxi and explore the secluded Lover’s Beach not too far from the hotel! 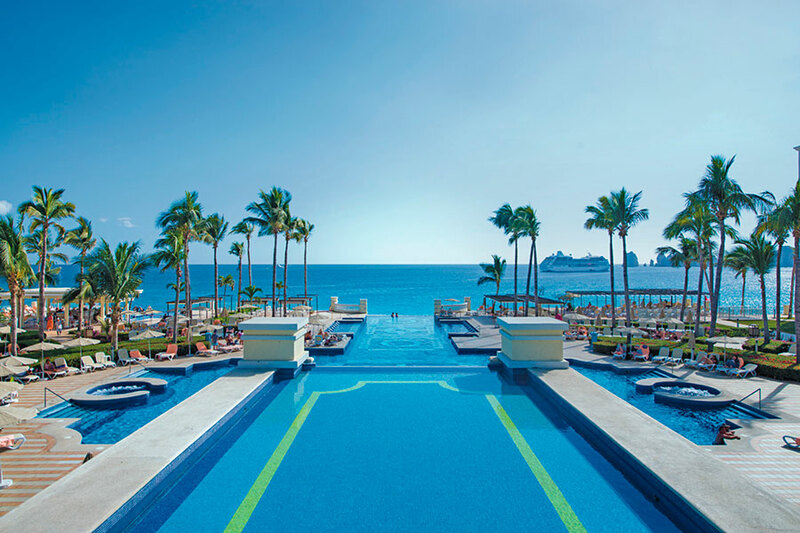 There are separate pools located on opposite ends of the resort including an activity pool, and the other offering a quieter atmosphere. The base price for this package is $550. Additional guests will include extra costs. Upgraded packages, additional guests, and add-ons are available for an additional cost. Rooms range from $150 – $230 per person per night. Every room includes complimentary wifi, a liquor dispenser, and a split level living room area. 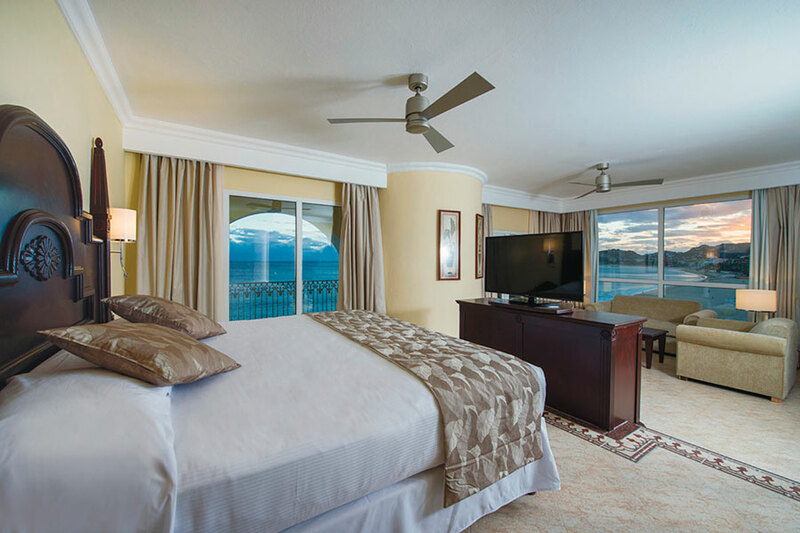 The suite ocean view and suite jacuzzi ocean view room categories also include a hydromassage bathtub. Children ages 2 and younger stay free. There are 692 total guest rooms with views of the garden or ocean. There are also oceanfront rooms available. The entire resort is beachfront, and all buildings are 4 stories high. Connecting rooms are available upon request. This resort share exchange privileges with a nearby sister property. Beach – 100 guests max, Gazebo – 80 guests max. All rooms allow up to 2 adults and 2 children max, or 3 adults. There are adults only rooms available as well, with 2 adults max. Children are ages 12 and younger. 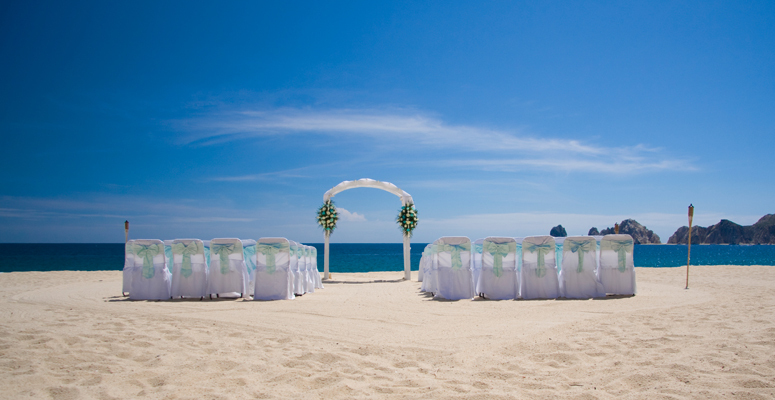 The resort will host no more than 2 weddings per day, Monday thru Saturday. Ceremonies can be held at 12pm, 2pm, 4pm, and sometimes 6pm. High-season months typically include April, May, June, July, November, and December. It is always encouraged to have your guests book their stay 6 – 12 months in advance. 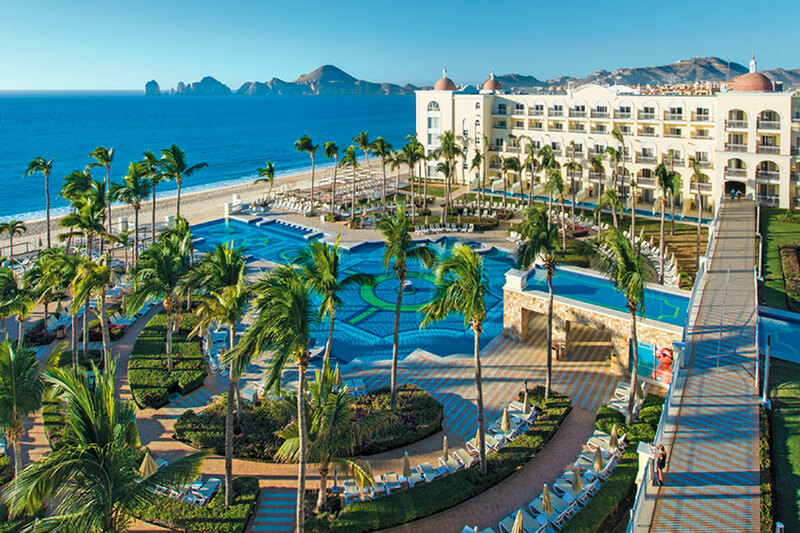 RIU Palace Cabo San Lucas is located 25 miles from the SJD airport. 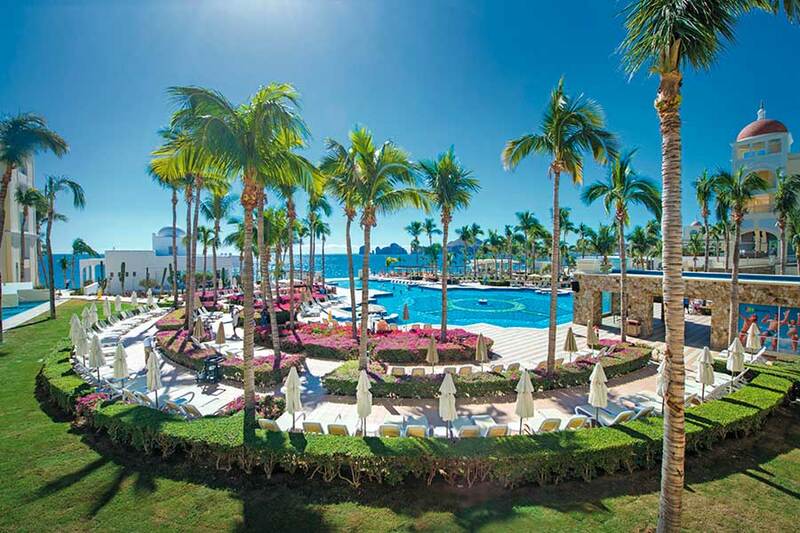 The resort is about 10 minutes outside of downtown Cabo San Lucas. 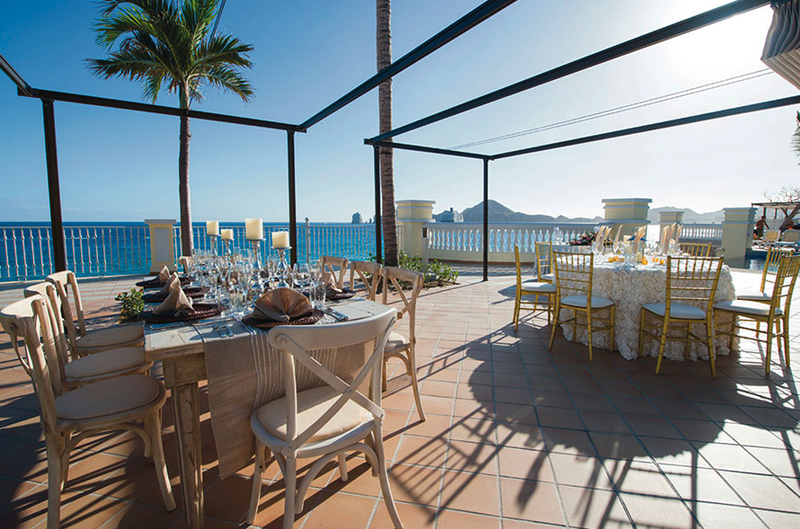 Q: What makes RIU Palace Cabo San Lucas such a great place for a destination wedding? 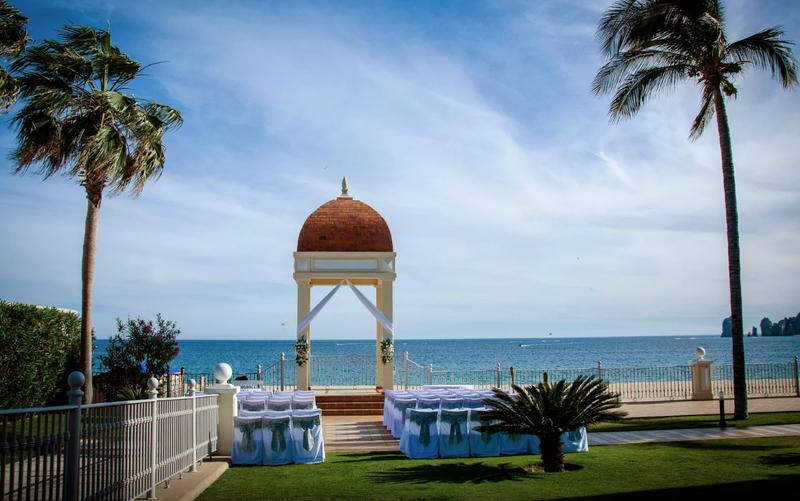 A: We have beautiful venues to perform a ceremony and receptions dinner at. They give the bride a lot of possible options to choose from, and host a special and spectacular dream wedding! A: To see the happiness on the couples face and receive from them a big hug for exceed their expectations. 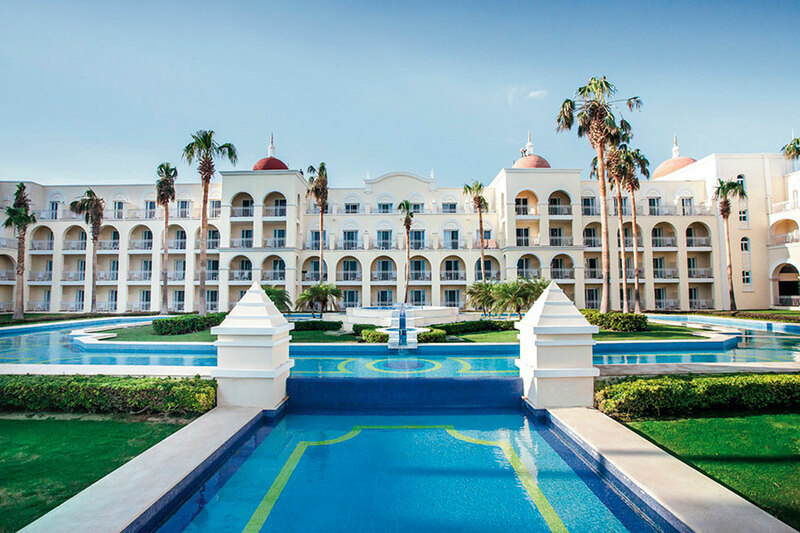 Q: What compliments do brides usually give about RIU Palace Cabo San Lucas? A: The wedding department always provides them the most important and specific information (costs) for having a wedding with us. Also, the fastest time in our responded.